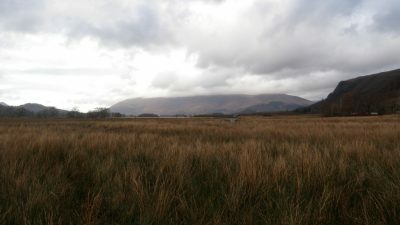 On Mountain Run's books for this year we have, in order of appearance, the GL3D or Great Lakeland 3Day Challenge. This is a spectacular mountain running 3 day event taking in roughly 80 miles & 9/10'000m's of ascent for the 'Elite' course. I have great fun planning this event because I have to run ridges & valleys, great mountain single track & summit plenty of tops. Its a fantastic event, known for its spectacular routes, lesser visited summits & super relaxed atmosphere. Race or just run, maybe even walk in the all new 'Cafe Class', eat cake, enjoy the mountains & make new friends, this is what the GL3D is all about. Next in the MR calendar is the Keswick Mountain Festival Trail Races. These comprise of a 10k for the fast of entry level competitor, the 22k for those wanting more of a mountain experience & the full blown 42k marathon distance mountain trail race. These courses have been designed so you can progress through the events each year until your running the marathon. I've tried to incorporate wide open trails, technical single track, fast down hills & challenging ups. 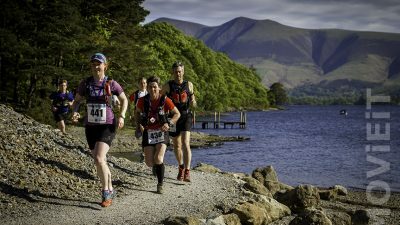 The 42k race really is a test of your fitness, endurance & stamina & will take you through 3 of the most beautiful valleys the Lake District has to offer. We have a break for a couple of months, but during this time, Mountain Run will have some navigation & mountain skills course's plus we'll be running in some events ourselves. We also will be looking after 2 checkpoints this year at the Montane Ultra Tour de Lake District 100 & 50 mile race. CP Buttermere is still under our control & we'll be making sure the 100 runners will looked after well. New for this year is the Ambleside CP, of which we'll be running in conjunction with Shan Eliis & team from the fantastic Bilbo's Cafe in Ambleside. August brings 2 new events for Mountain Run, as Ourea Events have booked me to plan courses for the Marmot24, 2/3rd August, this is the first mountain rogain in the UK & then later in the month I have also planned courses for the new and super exciting Berghaus Trail Chase. The Marmot24 is a mixture of a Mountain Marathon, with Rogaining. This event is set over 24 hours, for the elite, but there are time slots of 12 & 6 hours for those less inspired to race in the mountains for that length of time. Its open to up to teams of 6 & will make for a super tactical & technical race. I've been working hard on planning some really great mountain orienteering to really test your skills & fitness. The Berghaus Trail Chase is an exciting new trail running concept, designed to bridge the gap between Mountain Marathons & Trail Running events. There are set courses for 2 days, competitors set off on the Saturday afternoon & stay in a midway camp in the evening. They then have food & music supplied, with alcohol on offer as well, enjoy the evening & get a good nights sleep for the following days racing back to the start point. The excitement comes here, when all the competitors within 3 hours of the leaders are entered into a chasing start, meaning the first person over the finish line at the end of day 2 is the winner. This will make very exciting head to head racing, whether your in the lead or just trying to beat your mate! The final event being planned by Mountain Run for 2014 is the Rab Mountain Marathon. This is a fantastic & well established mountain orienteering score event, recently acquired by Ourea Events & this years planning rests with me. I'm super psyked to plan some really good running for this, its an event I have taken part in and enjoyed in the past, the Rab MM is really close to the type of mountain orienteering that switches Mountain Run on & the area we will be using is certainly new for this event & not used my other MM's over the years, as far as we know.